Published Mar 2009 by STERLING PUBLISHING. 2009 Edition - 1st printing. By George B. Bridgman. The timeless classic on drawing human figures is back! This new, redesigned version of George W. Bridgman's landmark work combines six well-known books by the celebrated artist and lecturer, who taught figure and anatomy drawing for many years at New York City's Art Students League. 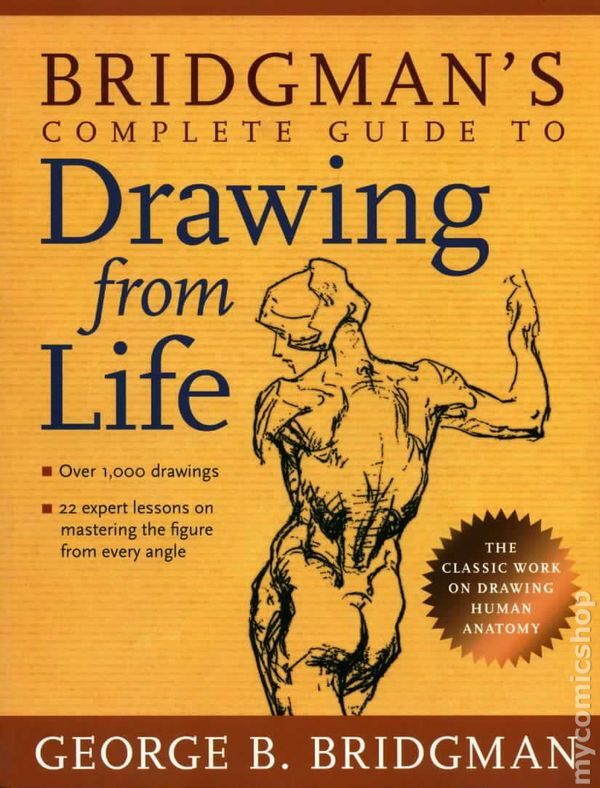 This edition preserves Bridgman's lessons and original sketches, but now features a nostalgic, eye-catching cover that distinguishes it from the competition. Softcover, 8 1/2-in. x 11-in., 356 pages, B&W. Cover price $17.95. 2009 Edition - 2nd and later printings. By George B. Bridgman. The timeless classic on drawing human figures is back! This new, redesigned version of George W. Bridgman's landmark work combines six well-known books by the celebrated artist and lecturer, who taught figure and anatomy drawing for many years at New York City's Art Students League. This edition preserves Bridgman's lessons and original sketches, but now features a nostalgic, eye-catching cover that distinguishes it from the competition. Softcover, 8 1/2-in. x 11-in., 356 pages, B&W. Cover price $17.95.